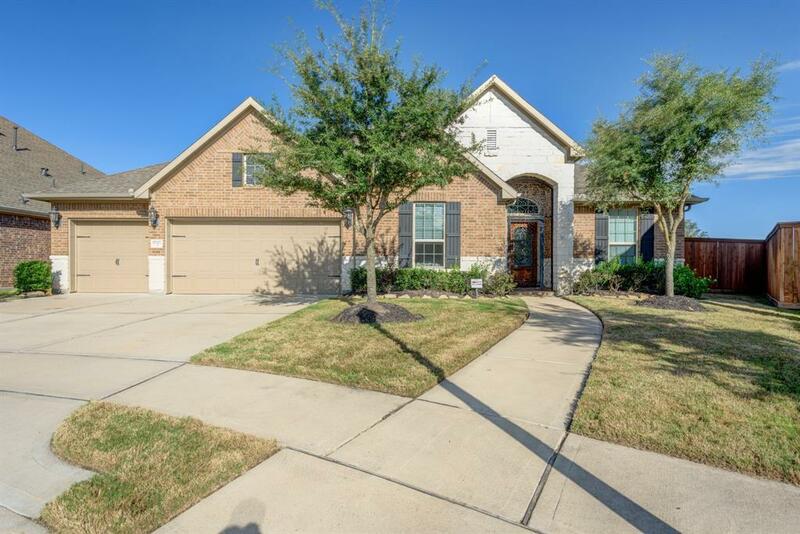 Beautiful one story located in highly desirable Towne Lake. This home is perfectly located on a 1/4 acre lot that backs to a green space and is at the end of a cul-de-sac. The open concept living space includes a spacious kitchen, wine closet and family room. The kitchen features two islands, granite counters, stainless double ovens, dishwasher, built-in microwave, and gas cooktop. There is a nice sized walk-in pantry and utility room. Mud room with built-in bench and coat hooks as you enter from the garage. 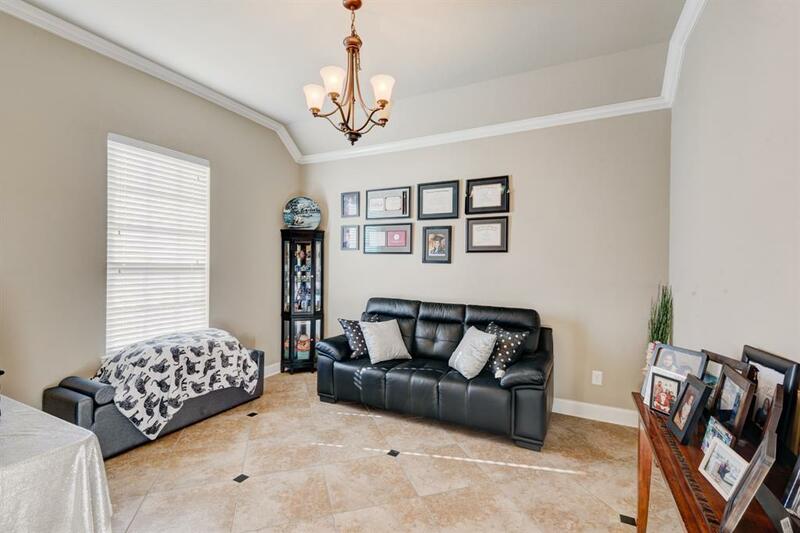 A front bedroom with full bath and walk-in closet is perfect for guests. Two other roomy bedrooms and full bath located at the rear of the house. Master suite is separate and the wall of windows overlooks the green space. Spacious master bath with walk-in shower, linen closet and a walk-in closet. 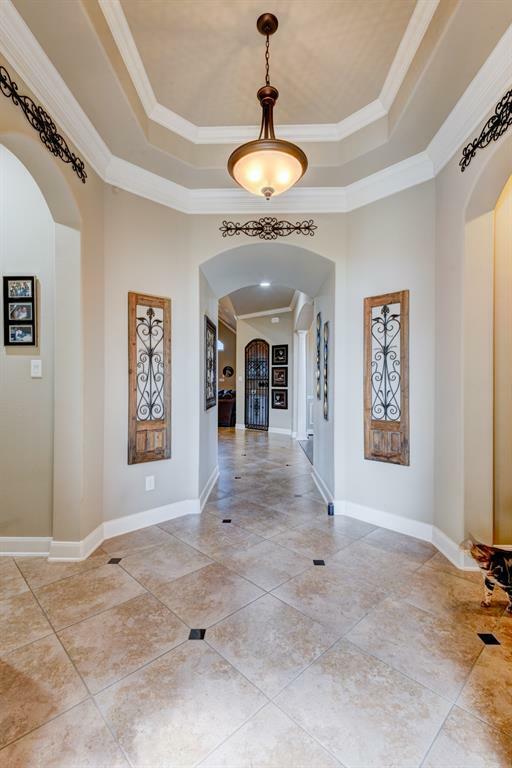 Crown molding and 5.5" baseboards, high ceilings and tile flooring throughout the home. Gorgeous hardwood flooring featured in the formal dining, den, guest room and master.